January 22, 2019 4:19 pm. 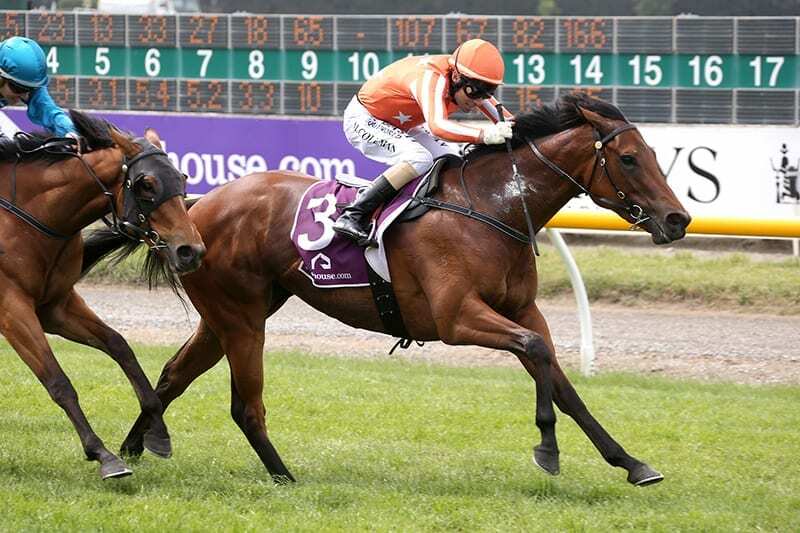 Connections of Group One winning filly Media Sensation are confident she can bounce back to her best when she lines up in Saturday’s Karaka Million 3YO Classic (1600m) at Ellerslie. The Group 1 New Zealand 1000 Guineas (1600m) winner was one of the first horses beaten when trailing the field home in the Group 2 Eight Carat Classic (1600m) at Ellerslie on Boxing Day on a puggy Heavy10 track. “We couldn’t find anything wrong with her so we are putting it down to the track,” Peter Williams, who trains in partnership with wife Dawn, said. With a fine weather forecast and the track currently rated a Good3, connections believe the daughter of I Am Invincible will show her best in what looks to be an outstanding edition of the $1 million feature. Among the line-up is multiple Group One winner Madison County, who has looked to have the edge over his male opponents thus far this season, while a host of stakes performed and progressive three-year-olds will also greet the starter. “It’s a good field, but if she is at her best on the night she will be competitive,” Williams said. Williams is looking forward to the lucrative Karaka Million meeting, with the quick-fire six-race twilight program featuring five stakes races and having a unique vibe with a number of international racing identities in town. “We’ve had one runner in the two-year-old race previously in Planet Rock and she ran third, so it is great to have a good chance in the three-year-old race, and it is great to be a part of it,” he said. While all is on-track with Media Sensation, last start Listed placegetter Jip Jip Rock has been withdrawn from the nominations for the Group 1 New Zealand Oaks (2400m) after suffering a slight set-back. “She hurt herself in the box on the night of an electrical storm here in Auckland,” Williams said. Like a number of the Williams’ better fillies, both Media Sensation and Jip Jip Rock are raced by Ashburton’s Sarah Green and her racing partner Ger Beemsterboer. The pair also purchased a quality Zoustar filly for $650,000 at the Book 1 session of the New Zealand Bloodstock National Yearling Sales last year and at this stage she is living up to her price-tag with black-type aims in the autumn. “She has had one trial for a win and we put her aside and she is just working up now,” Williams said. “She will race in the autumn. With the Karaka sales set to commence on Sunday, Williams has been out inspecting yearlings and will again be on the hunt for a nice filly for Green and Beemsterboer. “We have looked at a few yearlings, there are some nice ones there,” Williams said.